“A Pleasant Day Out” is the whimsical and apt name given to The Mt Pleasant Residents’ Association annual picnic. 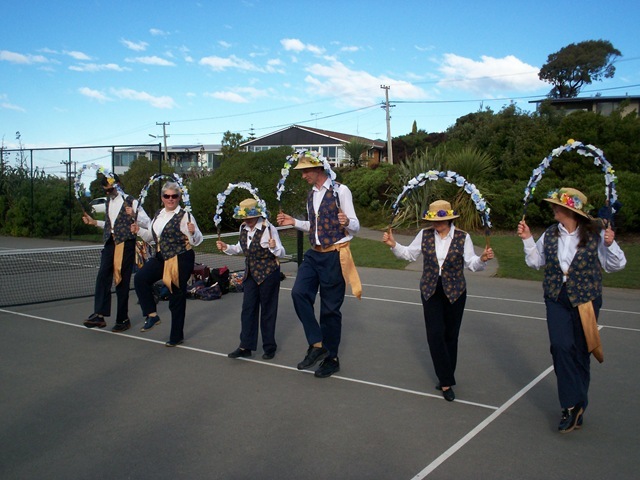 Each year a series of entertainments, food and stalls at the old school site on Major Hornbrook Road provide a backdrop for neighbours to welcome spring and yarn and laugh together. As the Association’s Chair Linda Rutland noted, this year the picnic was also an opportunity to shake off the earthquake blues. The event is testament to the high level of engagement that Mt Pleasant residents have with their community. Attendance was high, with lots of volunteer work needed by dedicated residents to make it all happen. Everyone concurred that the suburb certainly lived up to its name. Mt Pleasant is a great role model for people, like myself, who are thinking about how to build happier and safer neighbourhoods. Many people pitched in to make the day a memorable one. Despite a chill wind, the smiles were broad all afternoon. Morris dancers in full flight, with impressive timing. 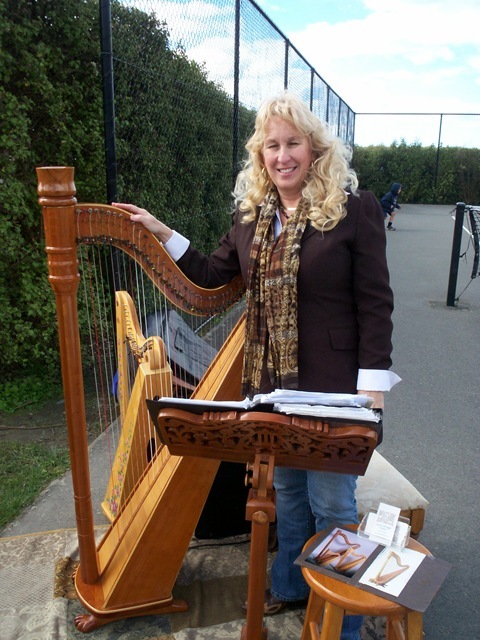 Laura Stringer, entertained with the fabulous looks and sounds of her harps. The Natural Magic Pirate Show brought smiles to every face, especially the young kids, who were transfixed by the antics of a playful ball-throwing puppet alligator. The event did go well – funny that you didn’t mention your starring role as a Greek god in the theatresports!! We also celebrated 117 years since NZ women got the vote, with MP Ruth Dyson planting a commemorative white camellia and did our bit toward the International Talk Like a Pirate Day (Avast me hearties!). The jazz musicians were awesome as were the wonderful Linwood Colelge barbershop quartet. All in all a fantastic day out. 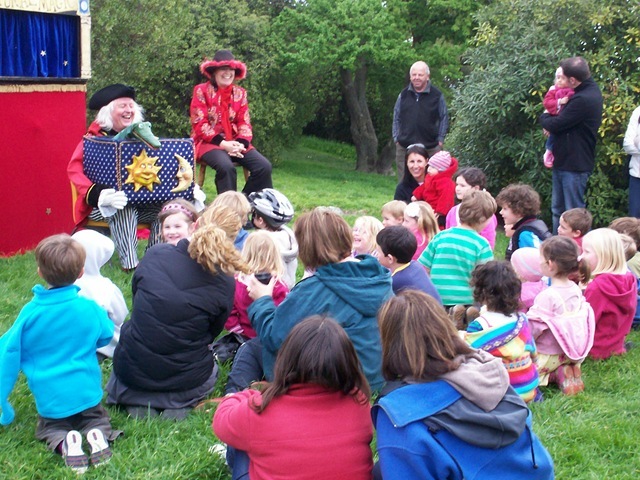 We are now looking to our next event in 2011 – bigger & brighter without the earthquake blues. Thanks for coming along & joining in.